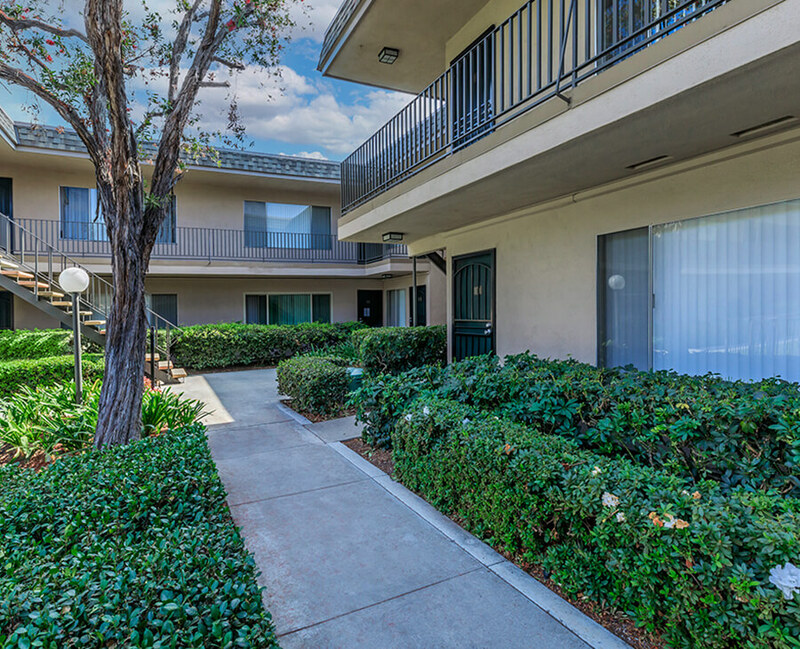 Welcome home to Kimberly Arms Apartment Homes, a quaint, gated community nestled in a tree-lined neighborhood in Fullerton, California, featuring spacious one and two bedroom apartment homes. Each apartment home has been uniquely designed with a walk-thru kitchen with gas cooking and includes one or two assigned carports with overhead storage, along with having ample street parking! Some apartment homes even feature private patios, balconies, or large, enclosed backyards and hardwood-style flooring. 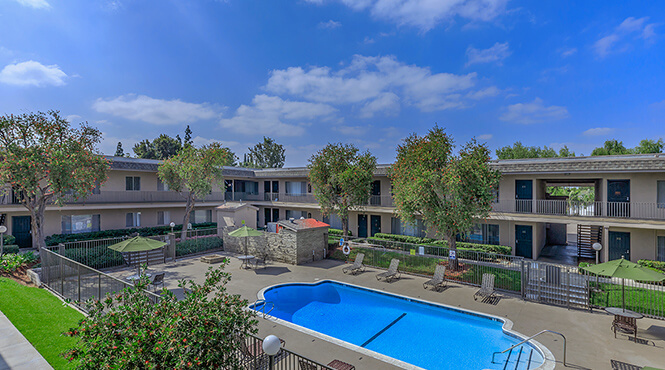 Our boutique community features a park-like courtyard highlighting a refreshing swimming pool, two gas BBQ areas, a large, shaded gazebo with picnic area, and a 24-Hour laundry care center. Kimberly Arms is a pet-friendly community conveniently located within minutes of the 5, 57, and 91 Freeways, allowing you easy access to shopping, dining, and entertainment at Downtown Fullerton and the Brea Mall, as well as being minutes from California State University Fullerton, Fullerton College, Marshall B. Ketchum University, Hope International University, Disneyland, and the Fullerton Metro. Enjoy the beauty of the Fullerton Trails or partake in the Fullerton Farmer’s Market. These are just a few reasons to browse our photo gallery or call to schedule a tour today and discover all that Kimberly Arms Apartment Homes has to offer!